A House for every family - We have abundant land that is enough for everyone. We believe that everyone in Egypt has the right to ownership in Egypt's land, but at a price that is easily achievable if normal hardwork is exerted to reach that goal. Currently that goal is impossible to reach given the land and building prices today. A normal person would have to work hundreds of years and save his salary to purchase a descent place to live. This project brings this goal possible. This housing initiative/project will require the planning, design and management to be carried out by the best urban development professionals. We don't believe in giving each person a plot of land to be built on individually that in turn becomes an ugly housing crisis. If this project is diverted that people will build their homes on their own and independently it will be a disaster. It must be thru real-estate management companies experienced working in Egypt. These real-estate companies will design and implement the construction in return for a nominal fee while keeping the land plots reserved (not owned) by the individuals. This is to keep the development, uniformity and designs stable. These projects will be closed communities but must be integrated into the overall urban development plan. This project will be under the supervision of an urban development planning board under the ministry of housing. Only when all payments are received for the house the land plot ownership for the land plots will be transferred. There is a desperate need for horizontal movement not vertical. Apartment buildings are not family friendly as they are not private, and after a short time causes congestion and increases population density. They also do not promote green nor healthy living. To distribute 500 sqm plots for each family to build private homes (villas). The construction will be limited to 40% of the land (200 sqm). Each home must be centered in the plot so that there are reasonable distances among the houses. Grass and trees will surround the units. Approximately all villas will have their back yards back to back. Only one floor (200 sqm-total area max) would be permitted and the roof would be slanted to prevent constructions on top. The communities will be designed in parallel with the High-Speed Railway system. In addition to these starting homes, many other private buildings will be erected in the new town or between each town. These new houses will be the seeds for the new towns to grow and support millions to migrate and work in the new housing delta. This would only be the beginning. 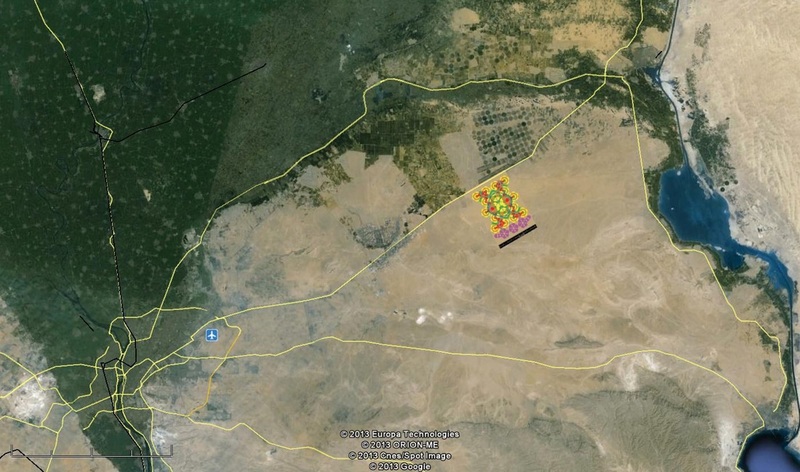 The plan would be to build more satellite towns in Sinai and the North Coast. The same concept would apply. 1.5 Million homes will constitute building 30 new satellite towns. Each town comprises 50,000 homes. 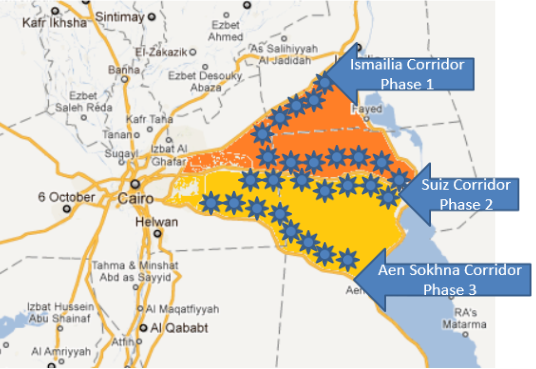 These 30 towns will be established on the Cairo to Ismailia and Cairo Suez routes and Cairo to Ain Sokhna. To start 1) Cairo to Ismailia route can be opened for reservations till a threshold level is reached and only then construction will start, then 2) Cairo to Suez & finally 3) Cairo to Ain Sokhna. Each town will be separated by a short distance. Please see "Housing Delta overlaid with satellite image" below. Inside these satellite towns, land plots will be allocated for building affordable housing building. The government will build and sell the flats at cost price. Funding for these units will come from 20% of the land cost of the villas. The towns will form a distinguished and lively multi-faceted city centers, providing residential areas, office and commercial space as well as shopping and entertainment centers. The towns will be adorned with public spaces, and landscaped parks in accordance to the latest sustainable urban planning practices and environmental standards. 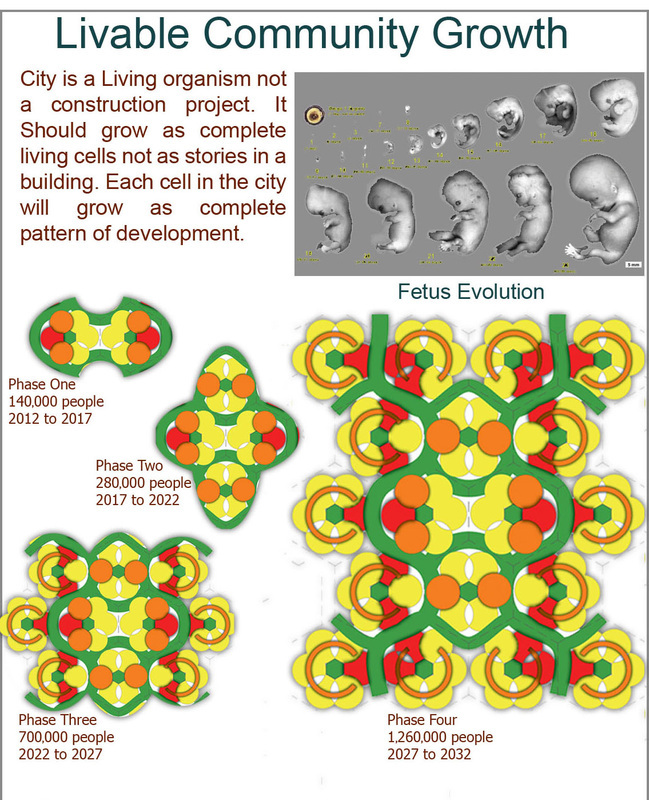 The modern towns will provide modern city fabric with avenues and squares surrounding the buildings in a synchronized manner. Why horizontal expansion not vertical so that we save land? iron bars, beams etc.. Our proposal is to use cement slabs also known as Raft foundation. Widely used in the nation of Jordan for decades. Why a Villa and not an apartment flat? 1. Spreading suburban living will increase the human to land ratio. 2. 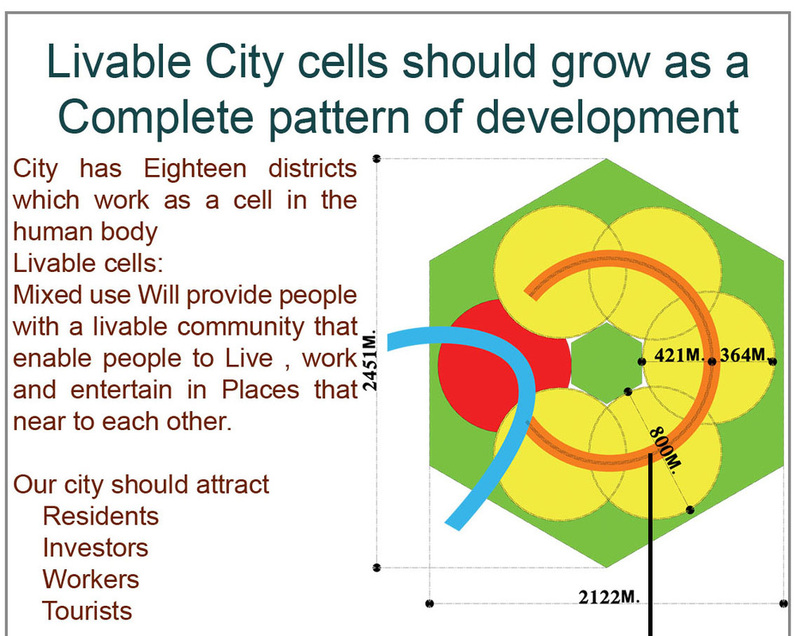 Will relieve tensions among people since they will have more living space surrounded by green. 4. People will become more friendlier since life will become easier. 6. Decreases travel time that is wasted in traffic which will yield more time for family, work, volunteering etc..
7. Property ownership is more valuable than an apartment/flat. 8. Villas are less expensive to build in our method. since flats are in buildings that are next to one another. 4. Streets will eventually become crowded and cars will have no place to park. 5. Has many other negative attributes. The above diagrams are simply ideas of how the communities would line up. It will be up to the Urban development experts to create the master plan for the 30 towns (300 communities). A world-class firm will carry out the design and urban development. A firm will be responsible to establish the zoning for the entire Area/Housing Delta and perhaps the surrounding provinces. Zoning will be strict and will allocate residential areas, commercial areas, business district, farmland, services and protected areas. 1 square Kilometer = 1000 lots. Land size for 50,000 lots is 7 kilometer by 7 Kilometers. which is approx 12,000 fadans. (equates to one satellite town). Price per Meter will be 200LE. The price for the plot is 100,000LE. The cost of the land will go toward infrastructure for sewer, water, electricity, telephone, hospitals, services, schools, streets and public transportation etc. This amounts is 5.0 Billion LE per town. 1. 5000LE for the managing and engineering firms. (250 Million LE) responsible up to the last home built. 2. 12000LE for Labor (600 Million LE).Those that purchased a lot are recommended to work on the project and receive a salary. If we assume that each town will employee 10,000 workers that will equate to 2500LE per month for 2 year period. 6. 20,000 LE - Affordable housing. 20,000LE x 50,000 units = (1 Billion LE). Here if we suppose the cost of construction for a 100meter flat will cost 50,000LE, we will be able to construct 20,000 units/flats. Therefore the building of the 50,000 units will allow the construction of 20,000flats. These units/flats can be sold or given away at some decided price (i.e. 20,000LE). these units can be grouped into 250 buildings (10 floorsx8units). Land for these building is approximatly 150Faddans, which can be easily allocated in the satellite town. Therefore each satellite town provide homes to 70,000 families. 7. The total funds collected from the people for this project will be 150Billion LE for reserving land plots. Further funds will be collected by a specific schedule to build the villas and low income flats. 8. Proceeds from selling the affordable housing at 30,000LE is 18 Billion LE (30 towns), which can be used to fill any funding gaps in the project. The 50,000 lots will be divided into TEN COMMUNITIES (5000VILLAS + 2000 AFFORDABLE HOUSING FLATS). Each community will be implemented by the same or different engineering firm. 1. We propose 10 closed communities each comprising of 5000 lots. 2. The design and management of the construction will be carried out by the firm. 3. Each closed community will have its own characteristics. 5. All the communities will be aligned next to each other with roads, avenues separating them. 6. No gates will be used to separate the villas as this creates eye soars and congestions, rather trees will be used as separators. 7. All government fees, certificates and processing fees will be waived to reduce the overall cost. Supporting Infrastructure / stations needed. 1.1 The power plants would be powered by natural gas. 1.2 Placement of the electricity plants will be positioned strategically/geographically to feed one or multiple satellite towns. would be the best and ideal way. Environmentally friendly and much needed energy.This can be inline with another national project for Wind Energy. facility that also includes three non-solar units and is expected to generate 2,900 megawatts once it comes on-stream. wind farms operating in the eastern part of the country, in the towns of Zafarana and Hurghada. Egypt currently has a wind energy capacity of 430 MW, chiefly derived from wind farms near the Red Sea. 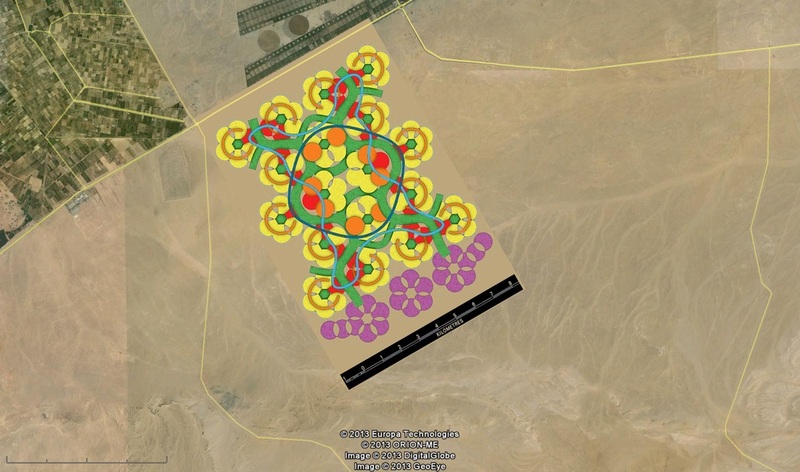 2.1 Multiple plants will be established for each satellite town. 2.2 Placement of the sewer plant will be positioned geographically downstream in accordance with national standards. 3.2 The distillation plants will be position on the cost of the Great Bitter lake. 3.3 A pipeline will be established from these distillation plants to all the satellite towns. 4.1 All the satellite towns will be supplied with natural gas. 5.1 All satellite towns will be supplied with internet and phone lines up to the homes as well as a cable system/centralized satellite dish, this is to avoid satellite dishes on top of every villa. 6. 1 All street lighting will be powered by solar panel station. the station will be position nearby each satellite town. 1. After funds are received for the plots, any surplus money will go toward a construction fund that will assist the construction of the homes in the form of a soft loan. 2. Another way to accumulate funds is to sell nearby land to investors at market price. The proceeds will also go into the construction fund. If the price per meter for building is for example 700LE, any surplus money will go toward reducing that cost in the negotiation with the builders. 3. A third source of funding can be thru a bartering program. Those that live currently in nearby towns, for example in the Suez city center can sell their homes or land at market price in exchange for building their new homes. The builders in return will acquire the homes and will be allowed to build high-rises in accordance with international standards. 4. Real-estate taxes collected at the national level will go directly to the construction fund and the abolishment of illegal constructed buildings. 5. All these are brainstormed ideas and not essential to the success of the project. Walls: 20,000 bricks, each ton of cement used for 5000 bricks, therefore 4tons of cement. town club). The is equivalent to 1 Billion LE (20,000 LE x 50,000 homes). If invested can have a return on investment that can be used for the town. The primary use of the proceeds is to build schools as needed every year. Note: The materials above will be supplied at wholesale and it is the responsibility of the engineering firms to ensure quality of materials. Doors would be hollow doors but with elegant appearance. Most of the doors in U.S. and Europe are hollow and light weight. Windows will be stylish (sliding type) wooden with glass. Not aluminum. Even if the price of the villa varies by a corrective percentage, it is still attractive. Villa reservation will be open to neighboring provinces first for the first 10 days, then the rest of the nation. As a first priority, those that do not own a realestate property will be considered first, then those that are renting and those that are willing to evacuate their homes in the neighboring provinces can go thru a bartering process or sell their property on their own. The national IDs will be the way to manage the reservations. Minimum of two (2) are allowed to reserve the property. The reason for this arrangement is to cover as much people as possible, as every citizen has the right to a property. Secondly the financial burden to be distributed among those reserving the villa. This project caters to a wide audience but not all. Not everyone is capable of providing the financial costs. Other housing programs would be established to cater to others that cannot afford it. 12) Land for investors to build housing buildings and other uses. Housing Delta overlayed with satellite image. The number of satellite cities can be equally distributed over the three routes (Ismailia, Suez and Ain Sokhna) or whatever is geographically available. COMMUTER TRAIN lines that will support the new housing project on these main three corridors. Depending on the routes taken the length of the railway may range between 500km and 1000Km. All can be built by Egyptians at affordable construction costs. 45 Billion LE will be allocated for the railway from the 30 towns (300 COMMUNITIES).